“Yes…” Is he going to tell me I’m pregnant? No, I’m not sure how that would be possible. Despite my utter failure in biology thus far, I know a little something about reproduction. I swear to God, I think Will has done legal work for half the city at this point. A few weeks ago, I went to pick up a Hawaiian pie at our favorite pizza place, and the guy wouldn’t let me pay. “No charge for Will Kaplan,” he insisted as I held out some bills. It turns out Will helped them out with some legal advice (free of charge) and now I guess we get free pizza for life? Pretty good deal. Will has his car, so he drives us to the fertility clinic, which is in one of those state of the art new buildings with a shiny glass automatic door. Everything inside reeks of “expensive”—from the shimmering gold pillars to the ridiculously impractical wavy benches to the shimmering blue orb hovering above us. Will’s wheels glide effortlessly across the gleaming floor. He fits right in with his fancy suit, but I feel ridiculously underdressed in my Reid-repelling outfit. “Do I have time to change?” I ask Will as I tug on the hem of his T-shirt that I appropriated. “You look fine,” he says vaguely. Considering I don’t have anything to actually change into, I give up on the whole thing. The doctor will just have to think I’m a slob. We head into the waiting room of the clinic, which also reeks of newness and expense. I look around to see two other couples waiting. I’d been hoping maybe since Will told me his disabled friend had used the clinic, I might see another patient in a wheelchair. But no—everyone looks entirely able-bodied. And crazy rich. Will checks us in at the front desk and returns with two clipboards full of paperwork for us to fill out. I’m glad we’re early, because I very well might need the rest of my life to fill out these forms. I can’t believe how much information they need about me. Did my mother deliver vaginally or C-section? Do I have a history of eye allergies? Who has been my primary physician for the last ten years? What do these people want from me—my blood? Hmm. Actually, they might want my blood. That probably wouldn’t be unreasonable. It’s a small miracle that I’ve gotten through my forms when a nurse calls us into the back, leading us down a long hallway. Will strains a bit as he pushes his chair on the carpeting, looking increasingly nervous. We end up in an office, with a dark brown wooden desk and two chairs in front of it. The nurse pulls one chair out of the room so that Will has room for his own chair, then leaves us to wait. I glance over at Will, who is staring at what appears to be a three-dimensional model of the female anatomy. “Getting turned on?” I ask him. He smiles thinly and tugs on his tie. Dr. Theresa Powell turns out to be a tiny, dynamic appearing woman with sharp black eyes behind black-rimmed spectacles. She looks like the kind of woman who would get you pregnant no matter what—even if she had to jam the baby in there herself. As she settles down in front of her desk, she doesn’t even glance at the paperwork I so painstakingly filled out, but pulls out a sheet of her own. “Mr. and Mrs. Kaplan?” she asks us. We both nod. Technically, I’m not Mrs. Kaplan yet. But I’m not going to correct her. “So how long have you been trying for a baby?” she asks us. She certainly gets right to the point. At my age? Christ, am I really that old? “However…” She holds up a thin hand with strong-looking fingers. “There are obviously extenuating factors here.” She sets her gaze on Will. He once explained to me what that means. The “T10” refers to where the injury is—right at the tenth thoracic vertebrae, at the level of his belly button. The “complete” means that the nerve connections in his spinal cord were completely severed, that he has no feeling or movement whatsoever below that level. “What about during masturbation?” she asks. “Do you get autonomic dysreflexia?” she asks. Whatever that is. He shakes his head no. “That sounds dangerous,” I remark. It seems like something you’d see on bright red lettering on a chain-linked fence. Caution: High Amplitude Penile Stimulation! Wow. Who knew having a baby would be so much work? After we finish our consultation with Dr. Powell, Will makes an appointment for himself for “sperm retrieval.” I thought the two of us would be pumped after this appointment, but we barely talk on the way home. Will turns on the radio, which he never does because usually we can’t shut up when we’re together. “I’m sorry,” Will finally said, when we’re about a mile away from home. I don’t know what to say, so I’m quiet as Will pulls into the parking garage below his building. He parks in one of the handicapped spots near the elevators, but then doesn’t make a move to unbuckle his seatbelt. As Will leans forward and presses his soft lips against mine until I melt against him, I don’t have a clue that I am one-hundred percent, completely and utterly wrong. 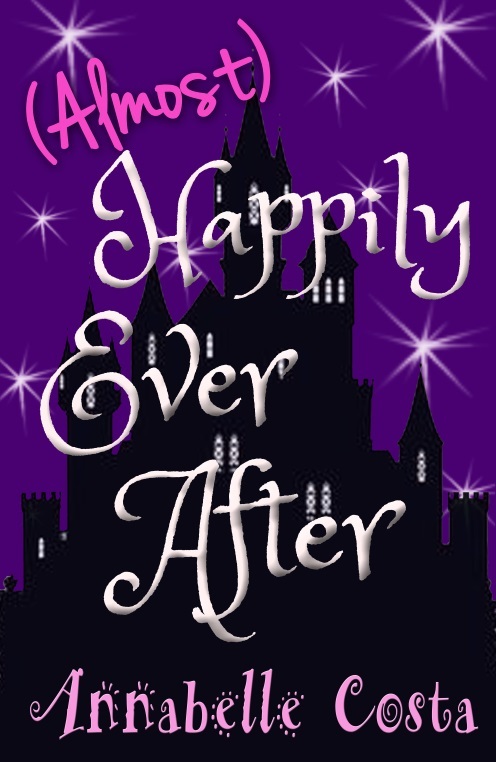 Buy a copy of (Almost) Happily Ever After on Amazon today! Yeah! Bought it! Thanks for making my day! Thanks! I tried my best to do their story justice. 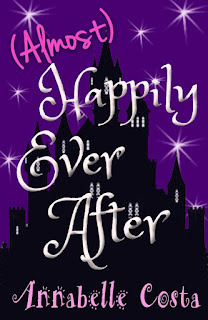 Thank you for the excerpt, I'll go straight to the Libby & Will's story Vol.2 and start reading it! I love the taste! Next, for the meal . . .
Yea! Bought it, read it, and actually reviewed it. And... this girl wants book 3. I need to see that family expand! Thanks so much for that! I haven't decided about a book 3. Probably not, unless this is somehow wildly popular. Bought it and stayed up way too late reading it right away. Will be reading it again and again. More please! !